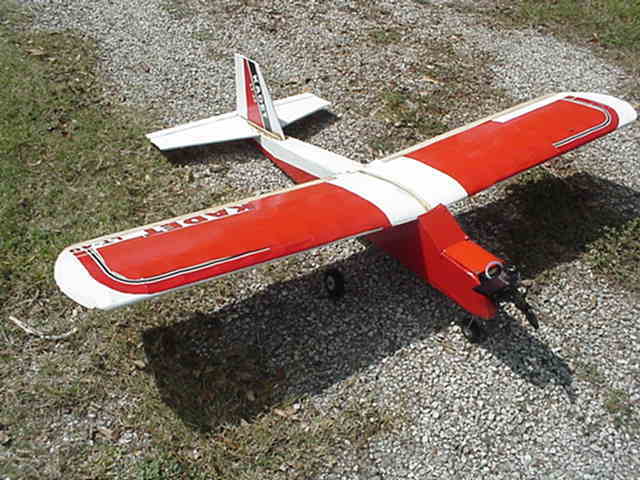 An RC-Trainer-Airplane is a very gentle aircraft. Also very affordable for first time fliers new to the hobby. They are designed for first time fliers, and easy to learn to fly. It has the wing on top of the fuselage, thus allowing the aircraft to fly slowly for beginners to react to its movements. There are many fine models to choose from, a model that is semi assembled will help you get in the sky a lot quicker. Do you have a favorite highwing trainer other pilots would love flying? Share your experiences! The maximum image size accepted is 800x600 pixels. Dihedral - It is the upward angle of the wings from the fuselage. Many trainers are designed with increased dihedral for gentle flights. Wing area - The amount of wing surface available to create lift. Wing loading - The weight of a given area of wing has to lift and is mesured in ounces per square foot. Light wing loading is idea for new pilots. Wing Thickness - It is measured from top to bottom it determines how much drag is created. Trainers are equipped with thick wings, thus causing gentle flights. Tricycle Gear - It has a nose gear for steering and two main wheels for landing. How Much Does A Trainer Cost? - The price can vary from model to model. But keep in mind everything that is needed to prepare your aircraft for flight is included in a combo package. Be willing to spend in the price range of $300 - 500.00. How Fast Does A Trainer Fly? - A Trainer typically flies at speeds of 25 - 30 mph. They land at speeds around 15 mph. How high can trainers fly? - A trainer can fly as high as 500 feet. But should be flown at a safe altitude of about 300 feet. Who is this aircraft FOR? Anyone who does not have time to BUILD! *Fly your aircraft in a few hours. Is there a perfect highwing trainer for the rc beginner?